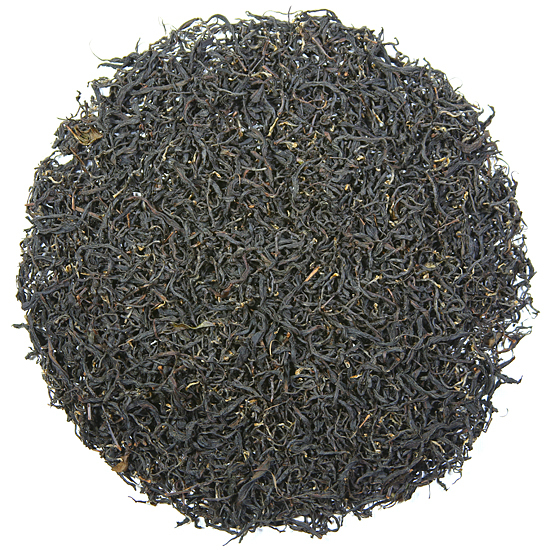 This a stunning black tea that is produced in limited quantities in one of the most blessed tea production zones on earth. We say this to underscore why the cost for this tea is somewhat high, and to start the conversation as to why it is well worth it. This tea is a stunner, and all tea enthusiasts who prefer the rich, non-astringent style of Chinese black tea need to experience this tea. We have been able to source this delicious tea fairly readily the last few years, but prior to that there have been only a few times we have been able to obtain this tea over the years. We always agree that it is good to be reminded that it is more normal to not be able to purchase a rare tea such as Alishan Black than it is to be able to purchase it whenever we want. The same tea farmer makes our Alishan gao shan oolong, our Jin Xuan high mountain oolong, and Alishan black tea. Manufacturing fully-oxidized black tea is not common practice in Taiwan; however, there is an historic tradition of black tea manufacture on the island, and this tea-making family has a passion for crafting fine tea and their skills as tea makers (and the blessed location of their tea garden) make it an enjoyable task for them to turn some leaf each season into this fine black tea. When Mary Lou visited this tea farm in November a few years back they talked about winter oolong and tasted those first, and then moved on to the subject of Alishan black tea.We had heard the urban legends about there being some Alishan black tea, more than was ever potentially available in the west, but had rarely encountered it in the US, so she was most anxious to find out if indeed there was a larger quantity of it from which to draw. Indeed, the rumors proved true and in minutes Mary Lou was tasting it. You can see from the photos that Alishan black tea is a lovely, long and slender strip style tea ( a very different appearance from our semiball-rolled Tung Ting black tea ) which our tea maker accomplishes by plucking just the long, tasty buds. He manufactures his Alishan black in the summer, when the tea bushes are healthy and thriving but the heat of the summer weather is not good for oolong manufacture. This is good planning and a perfect use of large, healthy, fresh tea buds. Look at how lovely these buds are – this fine plucking has high altitude clarity and purity of flavor (as opposed to the malty, concentrated flavors found in tea grown in a valley in hot, tropical locations). Tea bushes face survival challenges in many different types of weather conditions and elevation levels. High altitude tea gardens develop unique flavors and complexity in the cup from slow maturation in cool, misty weather. Our Alishan black tea has a fruity-ness that is underscored with a pleasant peaty, woody-ness that keeps the fruit in check. 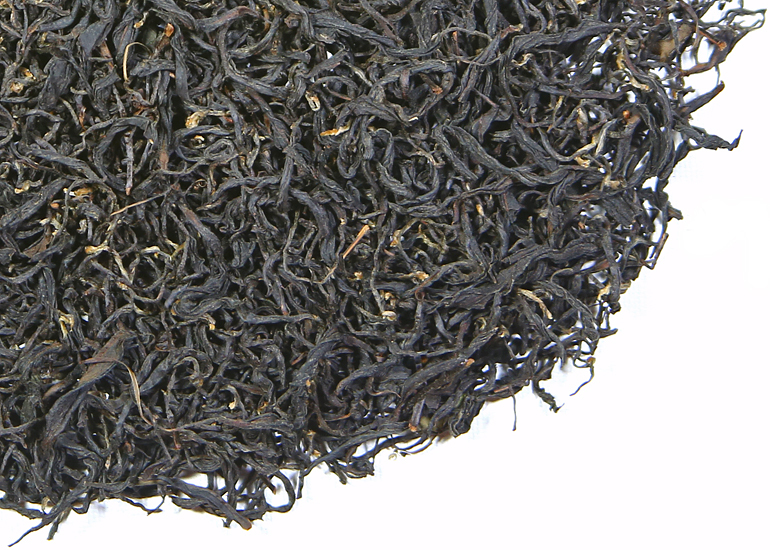 The flavor and aroma is not the expected Alishan floral but instead something minerally, earthy and dry. Scotch drinkers will love this tea, as the suggestion of flavors runs from artichoke to zucchini while maintaining a central core taste of flinty astringency. Mary Lou was told that as good as the tea is now it will be even better after resting one year – even better after two years. We are big fans of aged and rested black teas so we look forward to drinking this tea now and putting some aside to enjoy a year or more from now.